Wearable technology is no longer just for people, as San Francisco agency New Deal Design has designed an activity-tracking device for canine companions. 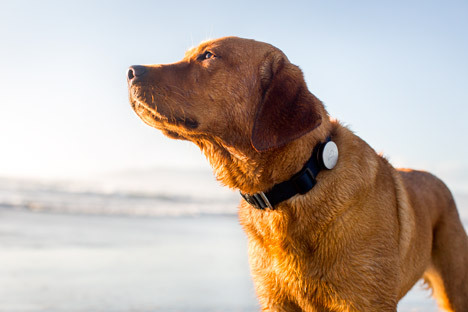 New Deal Design, the company behind the design of the Fitbit wearable activity monitor, created the device for pet-tech company Whistle so that dog owners can track whether their pet is getting enough exercise and staying healthy. "Knowing whether your dog walker actually walked the dog enough, gave the dog enough play time, is something many dog owners want to do," New Deal Design founder Gadi Amit told Dezeen in an interview earlier this year. Whistle's algorithms measure and differentiate between activities including running, walking, play, rest, sleep and even drinking water. "We had a whole discussion about what constitutes the right play time," explained Amit. "So it's not only declaring that it's play time: it's the amount of running, the amount of jumping, the amount of wagging the tail and so on. So there are algorithms for that." The device had to be designed for an animal that might not necessarily want to be wearing it. 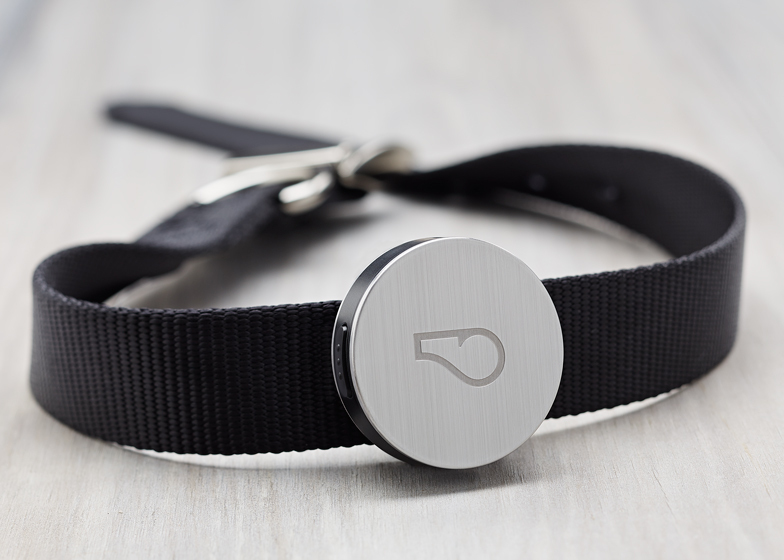 The brushed stainless steel disk weighs under 300 grams to try and make its weight less noticeable to the pet and can be mounted onto a standard dog collar. Welded together and waterproofed using an injected sealant, it is robust enough to be "bite-resistant" and to keep the electronics "safe from prying paws". Lights beneath the cover change colour and flash to notify the owner of key data, which is also automatically transmitted from the device to a smartphone app via Bluetooth and WiFi. The canine activity can also be integrated into Jawbone's UP app so owners can monitor the data alongside their own. Amit said that using wearable technology for monitoring another's activities is rather different than tracking your own. "Typically when people buy something like Fitbit they are aware of their health and they are very much in control," said Amit. "When we are putting a device on a dog, the user – the dog – is not aware of it and is not so keen on having it. It's somebody else. So we were actually trying to allow the other person – the owner for the dog – be connected to the state of mind or the state of health of the dog." The data collected by the device is also sent to Whistle's data centre, where information from many different dogs can be collated and passed on to veterinarians for analysis of overall behaviour and health. 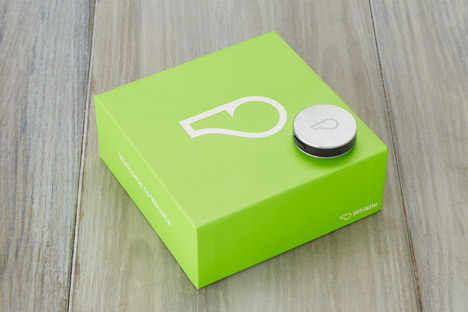 "The interesting thing is that the company, Whistle, that collects all this data, analysed it with veterinarians, and with that mass of data started to see connections between certain mood swings in the dog and certain medical conditions," Amit explained. The scientists and technicians can then use the data to try and predict when a pet is becoming ill.
"Currently this is the beginning of the process and eventually it will become a very effective way of creating research that is beyond anything you can do in a lab," said Amit. The company is also developing wearable technology for babies, so parents can monitor their children in a similar way.